Nestled next to Nagano Prefecture, the home to renowned ski resorts such as Hakuba and Nozawa, is Kusatsu Onsen in Gunma Prefecture. It is an onsen (hot springs) resort very much loved due to its prestige as one of the most renowned hot spring regions in Japan. Kusatsu Onsen Ski Resort is also located nearby and has a long history spanning over 100 years, as well as the privilege of being the first place in Japan to install ski lifts. The area is bustling with visitors flocking to enjoy both the hot springs and the awesome ski runs on offer. The history of Kusatsu Onsen dates back to 1472 where it has been long loved by Japanese visitors throughout the years. In more recent times, the wondrous atmosphere of the place has seen whispers of interest gradually grow into excited chatter leading to an increase of international visitors. The huge hot spring fields (facilities that transport the thermal waters from the earth’s surface through wooden pipes, extract minerals from and regulate the hot springs) are symbolic to the town of Kusatsu. These hot spring fields are illuminated at night to create fantastical glimmers for everyone to enjoy. Numerous restaurants, souvenir shops, and other establishments line the streets of Kusatsu, expanding radially from the hot spring fields located in the heart of the town. The popular tourist spot of Sainokawara Park can also be found in this area. A stroll around the heart of the river bank will leave you in awe with 1,400 litres of thermal waters bubbling all around the area every minute to create a hot spring river. Heading upwards and a 10 minute walk in the park is the Sainokawara Open-air Bath, which boasts a gigantic total area of 500 square metres of outdoor hot spring goodness. This is an absolute must-visit area. A cultural experience in Kusatsu that should not be missed is the yumomi shows. Yumomi is the act of slowly stirring the thermal waters with a wooden paddle to lower the temperature whilst also softening the waters, and has been carried out in Kusatsu since the Edo period. It is the perfect chance to see a glimpse of this fascinating traditional task. 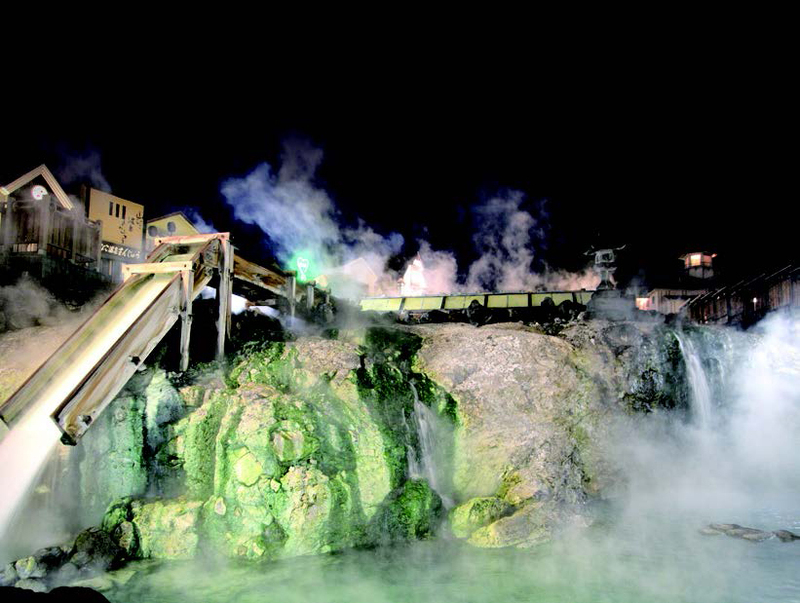 The aspect that puts Kusatsu a head above all of the other onsen regions is the rich quality of the hot springs. The minerals, which produce the sulphurous fragrance of the Kusatsu thermal waters, are said be highly beneficial to people and nerve problems. The quality of the thermal waters is so rich that the iron in the area is particularly prone to rust. Many resorts with long histories of Japanese tourists streaming through their doors, such as Kusatsu, have a tendency to be very Japanese in terms of culture and can sometimes be lacking when it comes to catering to visitors from overseas. Those looking to sweep away inconveniences from their long-awaited holiday need to also find accommodation to suit their needs. If you are a looking for a place to stay, particularly as an international guest, then look no further than Kusatsu Now Resort Hotel. 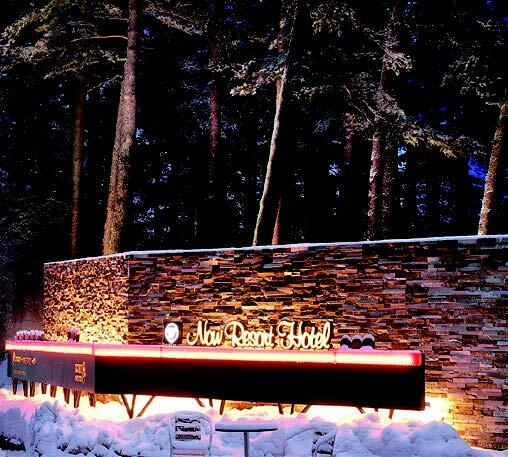 Kusatsu Now Resort Hotel is an alpine establishment located on the base of a mountain 1,200 metres about sea level. It is within walking distance of the centre of the town where the hot spring fields are, and it also offers highly convenient regular shuttle buses to and from the hotel. The resort also runs shuttle services to and from the ski slopes a minute’s drive away during the ski season. 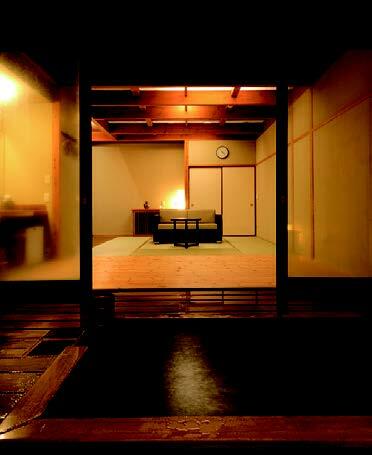 One of the main attractions of this resort hotel is, without a doubt, the hot spring facilities. The thermal waters of Kusatsu can be enjoyed to your heart’s content through the large open-air bath and indoor baths. There are also private baths that can be reserved for those who want to have a soak in the hot springs, but are uncomfortable with the idea of sitting naked together with complete strangers in the public baths. 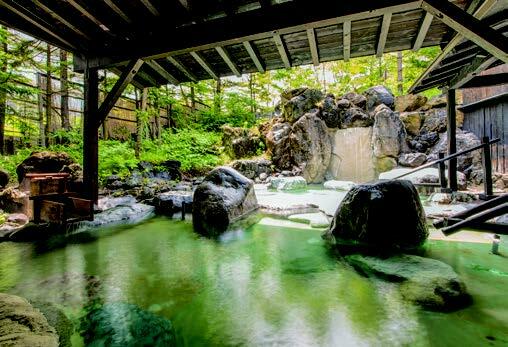 The variety of private open-air baths on offer are sure to please people from all walks of life, from the fragrant baths using traditional Japanese cypress, to baths made of Shigaraki wares. With rooms attached to each of the private baths, guests can kick back and relax with their family and friends. The hotel has a sports facility containing pools, table tennis equipment, tennis courts,and a mini golf course; as well as a fullyequipped relaxation facility with a beauty salon and even massage spas. Variety can also be found in the four different types of restaurants operating within the resort grounds. Those looking for a relaxing night in the resort hotel can choose from restaurants such as the international buffet, French, Japanese, or Chinese establishments. The hotel offers accommodation plans including dinner at one of the restaurants, as well as plans that only include breakfast for those who want to dine at night in the hotspring town. 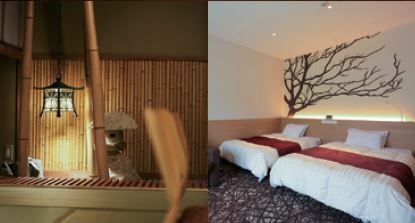 There is also a wide selection of rooms to choose from, such as standard Western-style and Japanese-style rooms, suiterooms and the newly introduced Forest-view bath-twin rooms, to suit various needs. While Kusatsu is a destination overflowing with charm, there is one hurdle which might possibly trip up some international tourists – the task of needing to transfer between trains and buses for those travelling from Tokyo. 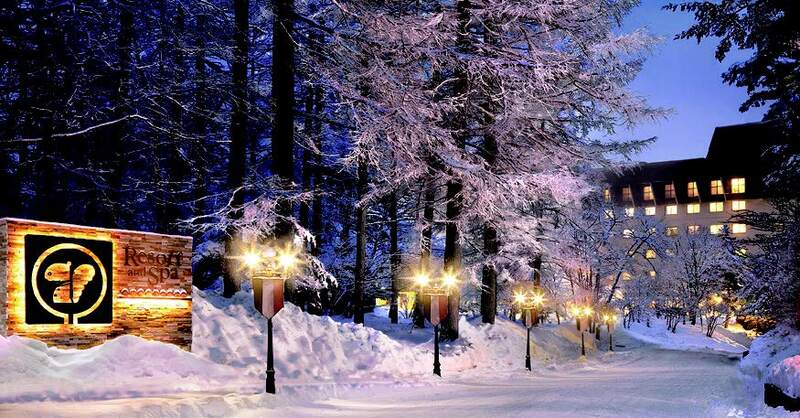 Kusatsu Now Resort Hotel recommends guests hop onto the direct bus from Tokyo to the hotel – the Spa Resort Liner. The trip from Tokyo to Kusatsu Onsen takes 3.5 hours and makes life a breeze by shuttling guests straight to the doorstep of the hotel without any meddlesome transfers. Drop by the website to check out the Spa Resort Liner and accommodation packages on offer. If you are mulling over where to go on your next trip to Japan, how about a visit to the Kusatsu Now Resort Hotel?